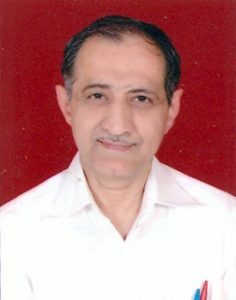 The Hindi Department has an impressive faculty of accomplished teachers who have excelled in their creative pursuits. The Hindi Department has a thumping strength of students as it is taught both at the BA (Hons.) and B.A. level, as well. It has a literary society which has high energy level, under whose aegis lectures by eminent scholars, seminars and Kavi- Sammelans are organized periodically. 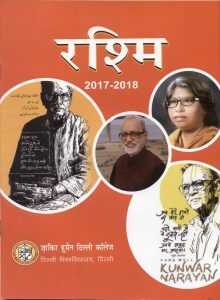 The Department brings out a journal in Hindi called `Rashmi`. In October, the Department organized a talk by Prof. Hari Mohan Sharma of Department of Hindi, University of Delhi on ‘Globalization and Hindi’. In November, a discussion on ‘Hindi Bhashaki Dasha Aur Disha’, was conducted by Mr Jaikant Mishra of the Bhasha Sahodari Sansthan. In March 2016, Prof. Apoorvanand from University of Delhi spoke on ‘Abhivyaktiki Azaadi Aur Sahitya’. In April, a seminar on “Abhivyaktiki AzaadiAur Media” was organized. Mr. Dilip Mandal was the chief speaker in this seminar. The Hindi literary society actively participated in the organization of the biennial Bhisham Sahani book fair in March, 2016.